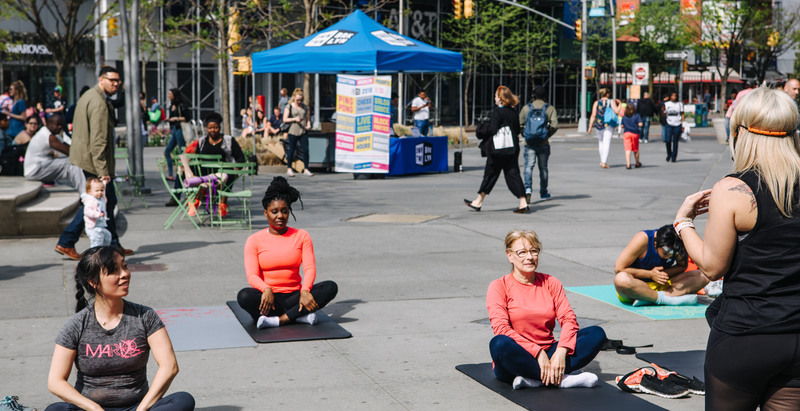 Free fitness is taking over Downtown Brooklyn! 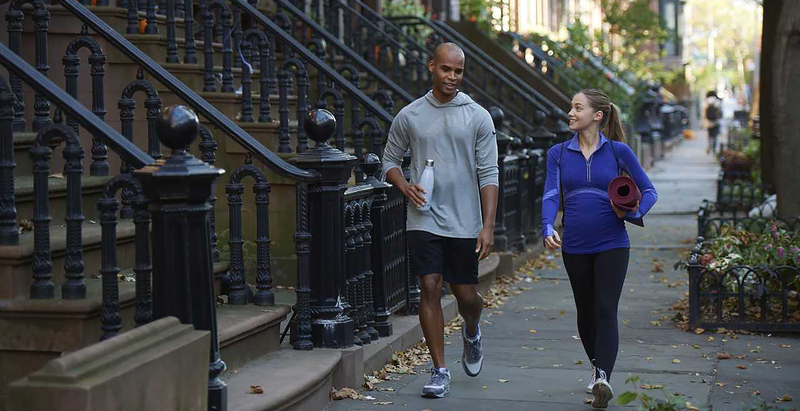 With great weather comes great responsibility - to get outside and exercise! The warm weather has finally arrived and the neighborhood is slowly coming out of hibernation. 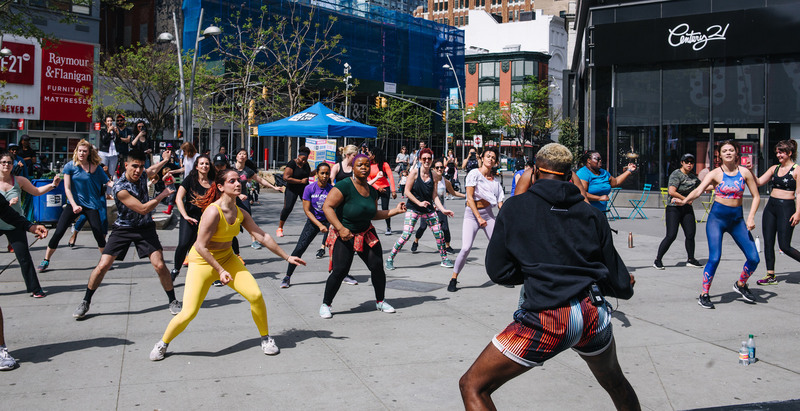 To celebrate the sunshine, Downtown Brooklyn Presents is jumping into May with a bevy of fun fitness classes brought to you by exciting new entries to the Downtown Brooklyn scene who are set to transform the area - and your glutes! Coming in from across the pond, London’s At Your Beat (AYB) dance fitness studio is setting up shop at City Point. To celebrate, we’ve put together three consecutive Saturday mornings of fitness fun in Albee Square - Downtown BKLYN Gets Physical. In addition to AYB’s dynamic set, Daniele Gates’ Yinsa Yoga, and Retro fitness classes with Dodge Y round out the morning. You can sign up here, and the first ten yogis at the 9AM class will receive prizes of DeKalb Market dollars to reward themselves after class! At Your Beat hits Albee Square - the studio is known for its energetic classes that turn dance into a serious workout. We’re also excited to welcome Chelsea Piers Fitness to Downtown Brooklyn! Soon to open at 33 Bond, we’re celebrating with a six-month long series of high intensity interval training workouts at the stupendous new Plaza @ 300 Ashland, starting Monday, May 14th. Join us for BK Burn at 6:30pm to sweat it out – all fitness levels welcome! Sign up here. Downtown Brooklyn Presents is our annual free event series that includes fitness classes, block parties, outdoor movies, ping pong, chess tournaments, and more - all free, all year. Stay in the know – sign up for our newsletter and follow us on Twitter, Instagram, and Facebook. Tag us and we’ll share your #DowntownBrooklyn pics. Downtown Brooklynites hit the beach – at Albee Square!